Warehousing is an integral part of our business and wider supply chain. 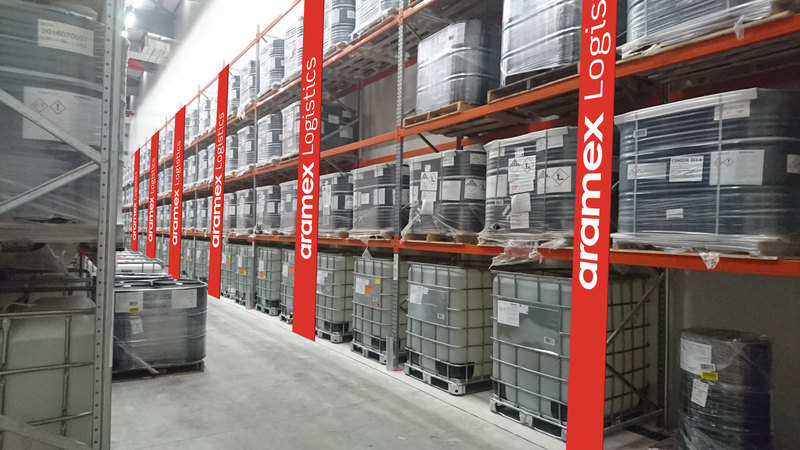 We, at Aramex, therefore decided to propose a separate state-of-the-art facility for Dangerous Goods (HazMat) storage in Dubai South free zone area - not only to ensure the health and safety of our people, but also due to the high volume of demand to further enhance our storage capacity. The new warehouses are temperature controlled and designed to meet Dubai South, Dubai Municipality, NFPA, LEED, TAPA, ISO18001 and ISO14001 requirements. One temperature controlled warehouse is intended for General Storage, the other for Dangerous Goods. The primary objectives for establishing the HazMat warehouse are to store a broad range of chemicals and to cater for market requirements. Our HazMat warehouse has a built area of 10,000 Sq.m and has been constructed to meet industrial standards for DG/NDG goods. The warehouse is fully equipped with a state of the art fire alarm system and firefighting facilities. For firefighting, a very effective and potent foam expansion system is in place, coupled with a cutting-edge VESDA warning system (EWS) that continuously monitors air quality. In view of the high-risk operations taking place within the building, all fixtures and MEP systems are explosion proof (ATEX), which helps ensure that any spark, if generated, will be contained. The facility is also equipped with a network of drain lines and holding tanks for each compartment - this is in line with strict regulations and helps manage chemical wastes in accordance with Dubai Municipality regulations. The facility has four compartments strictly reserved for specific DG class, each with fire-rated panels giving 2 hours’ fire rating. This results in better management and helps avert accidents caused by chemical reactions. With strict HSE and Security Protocols in place, only trained staff members are allowed to operate the facility.